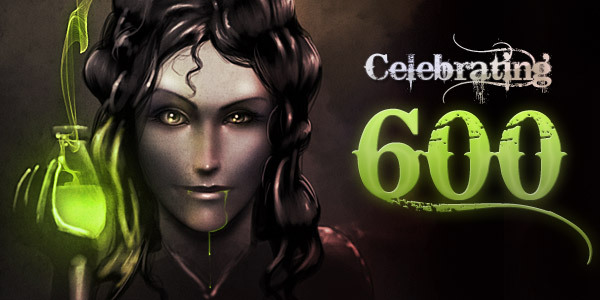 MASSIVE VOODOO: Win a Miniature - Celebrating the 600! Woooohooooo!!! 600 followers!!! I think my capuchin glasses broke .... no it's true! Thank you all very much for your time reading the never ending flow of blog posts and a big special THANKS to those who give something back to us, sometimes the mails we read are soooo inspirational and motivating! Thanks! And now for the best part of eeeeevery jungle celebration.... Miniature winning tiiiime! 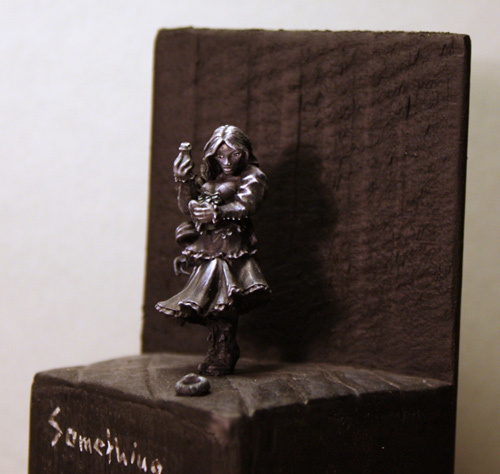 This time the miniature is a lady in black (and white) painted by our monkey brother Oli aka HonourGuard! As a regular reader you already know what to do! On 25th March 2011 i will randomly ( http://www.random.org/ ) choose out one of the mails and this person will get the mini! There are 3 Kommentare for Win a Miniature - Celebrating the 600! 600? Wow! The jungle grows!